2018 has been home to some of the best and worst things we’ve seen in a while, which isn’t surprising – That happens every year. So, last week during our usual Top 10 slot, you chose for us to write about the Top 10 Worst of 2018. So buckle up, we’re focusing on the best and worst of anything geeky, from films, video games and even the internet itself gets a stern looking at. Do you ever feel like your life is meek and bland compared to those over-zealous do-gooders of the world? Don’t worry, you’re not alone, as in every world there are characters who just so happen to be in the background. What do we mean by this, exactly? If you look at the best stories, they need solid supporting characters. These characters aren’t even the supporting cast. These are characters that are simply just there. They won’t make you go “I enjoyed this title because of that background character”, but they’re often memorable in their own, unique ways. Join us as we check out our Top 10 Background Characters. Nothing screams in-crowd quite like a running joke. One person does or says something stupid and never gets to live it down, a weird moment of inspiration catches fire and spreads through the gang, or some reoccurring verbal tic becomes a catchphrase. Comedians know this, so do game designers, writers and artists of all types. A good gag can be brought back time and time again, recycled and replayed and somehow it only gets funnier. Join us as we revisit some of the best recurring gags in geek culture. Ten of them to be exact. And some honourable mentions. What can I say? We have a pattern. 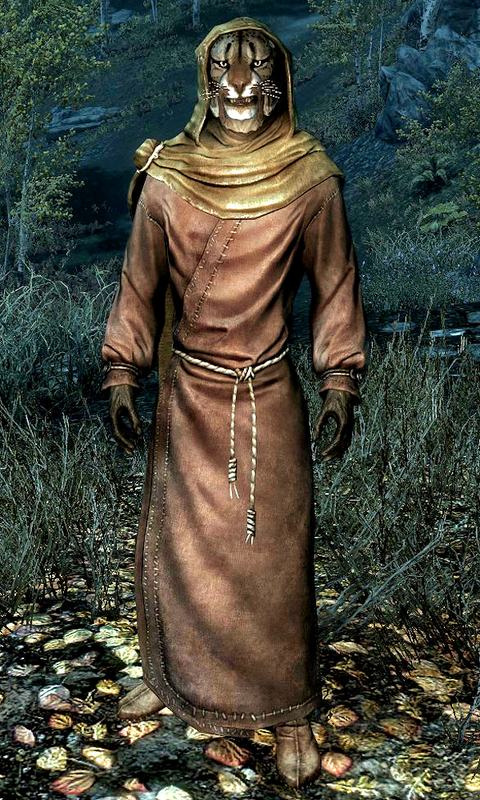 M’aiq has been in so many of the Elder Scrolls games now, that he’s a bit of a running joke. But more than that, he’s actually full of rather interesting lines of dialogue, depending on how you interpret his meanings. He runs seemingly aimlessly, from place to place, just sharing his stories, which is hard to believe. He’s not exactly renowned for telling the truth, hence his title. Only just clawing his way onto our list, M’aiq is definitely an in-joke for Elder Scrolls fans. Well, if not M’aiq himself, his great, great grandson, who is also called M’aiq. This Khajiit knows more than just a few lines of dialogue and usually runs around at quick speed. He’s worth catching up to for a quick chat, so if you find him roaming around Skyrim or even any of the other TES games, stop for a chat! Unlikely friends in the Greendale Community College study group, sports jock and cool kid Troy Barnes and awkwardly nerdy and fourth wall breaking Abed Nadir bond over a mutual immaturity, creativity, and generally childlike view of the world. Through the various misadventures of their time at college with the others in the group they turn the world upside down, warp genres and create entire worlds. But in their downtime they host a show, Troy and Abed in the Morning. 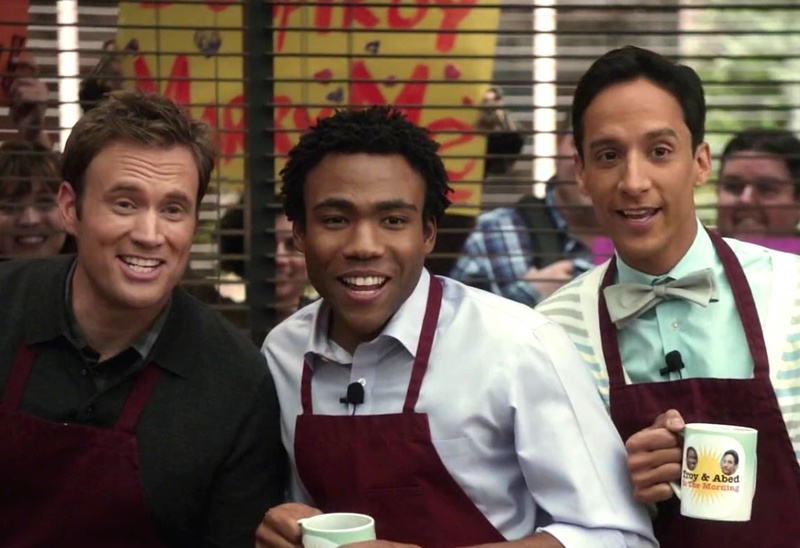 The catchy jingle, enthusiastic “guests” and the delightful hosts of Troy and Abed in the Morning make it a cheery and oddly grounded highlight of Community’s otherwise deeply bizarre and twisted world. The fact that the boys are making the whole thing up and there are no cameras, or that the guests often have no idea what’s going on, has absolutely no bearing on whether or not they’re enjoying themselves. Everyone who knows the original Maxis brand of Sims titles, extending out to SimCity, will be fondly remember the strange loading words of “Reticulating Splines”. Many of us to this very day are uncertain of what exactly that means, or even if it was just some crazy in-joke, starting from SimCity 2000. In actuality, it was literally made to be a nonsensical phrase intended to just make the Maxis guys laugh. Besides: It sounds cool. 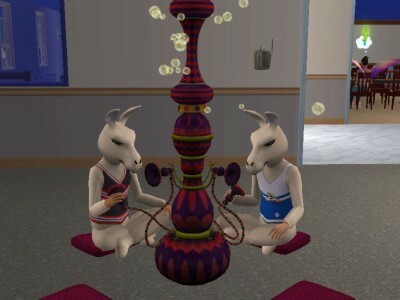 Of course, The Sims is well known for one animal. No, not the pink flamingo! I can only be talking about the Llama, a majestic creature who can be used in everyday conversation. With an insult option for calling someone’s mother a Llama, there’s plenty of different options for how to use the Llama. These include dressing up as one to be a mascot for a team by the same name, bleating like a Llama being an illegal form of interrogation, rejecting a date by saying you need to wash your Llama. Yeah, Maxis are a strange bunch. Creator of the ASDF animation shorts, Thomas “Tomska” Ridgewell is a favourite online comedian of mine. While ASDF may be his most famous series, his life action skits are as good if not better, and his recent fascination with his horse mask has added another rather disturbing layer of comedy. Meet Mrs Johnson. Appearing in multiple, completely unrelated videos, Mrs Johnson basically a man in a dress and a horse mask who appears long enough to spout a catchphrase “I LOVE IT”. It shouldn’t be funny, but I love the surrealism of Johnson’s appearance at any moment, and it takes one hell of a dark twist when she gets her own skit entitled “Horse”. Sounds like there’s more backstory than what has been hinted at so far. Or Tomska’s just making crap up as he goes along. “Who you callin’ so puny he could be squished by a bug? !” – Edward Elric. 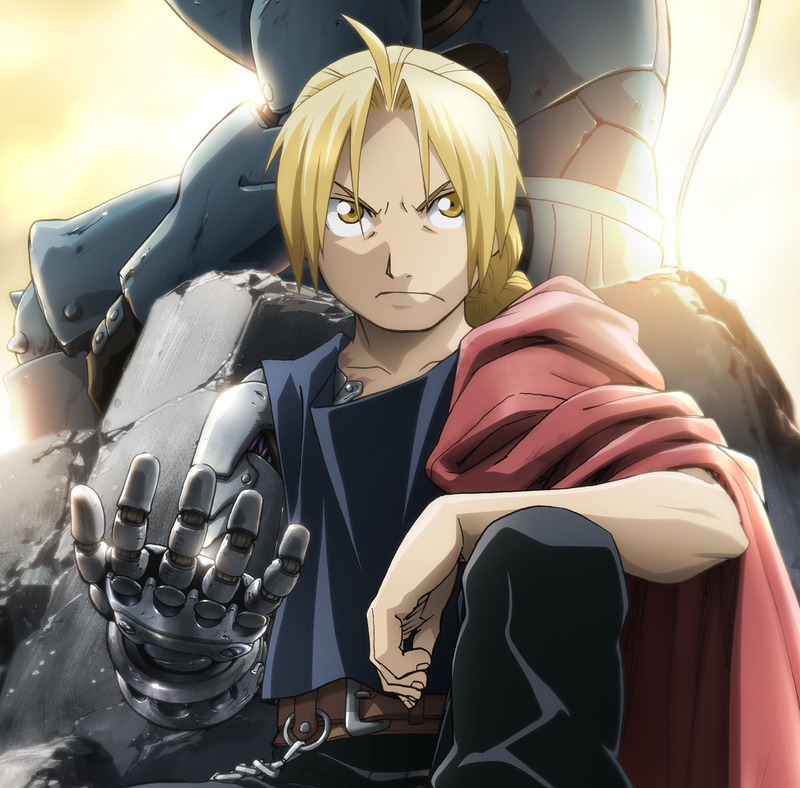 The Fullmetal Alchemist himself appears to have a running gag, well it was sooo hard to see this one coming. That’s because he is really short and due to that, various characters will allude to this. But he doesn’t like to be reminded of his physical limitations, so he will get pretty angry at anyone who dares insinuate he’s a tiny little man. After all, it’s no different to calling him a child, which he resents. He’s not. Now, it doesn’t matter how you say it, he really doesn’t want to hear it. He won’t even accept it if you say you didn’t mean it in that way. He’s been known to psyche himself out as well, as he once crawled through some vents, stating how glad he was that he was small enough to fit in the vent, before pausing and screaming out “Aah! I just called myself a tiny little runt!” Oh Edward, we hope you never grow up. Kudos to Parker and Stone for keeping a joke that should have worn out years ago fresh enough that we don’t hate them for dragging it out. This is a joke that has transformed, been cast aside and brought back, observed from every angle and yet… never dies. The joke originates with a former classmate who was never present and was therefore presumed dead on a daily basis. 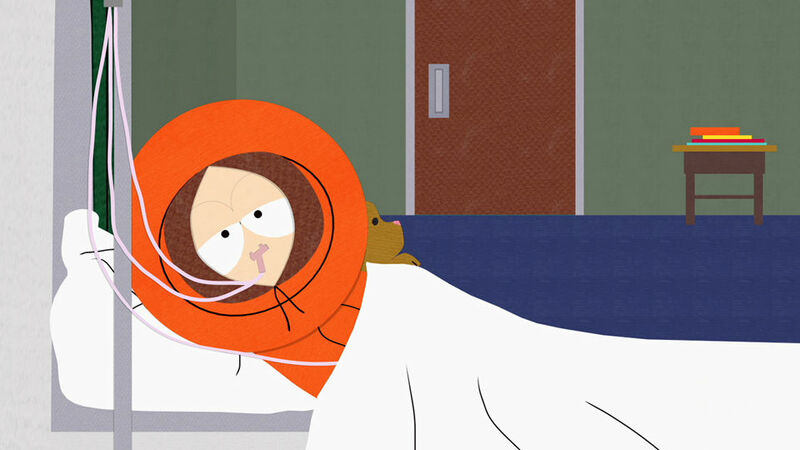 In early seasons Kenny was killed off every episode only to respawn the very next week. This culminated in an entire season of the gang grieving his death until he spontaneously returned with no fanfare in the last episode. And now Kenny uses his powers for good. Kenny’s immortal curse now has an overly elaborate backstory wrapped in eldritch mysteries, and looks set to take centre stage in the upcoming game The Fractured But Whole. Wurt is a running joke in Blizzard’s Diablo franchise, but has gone further than just the Lord of Terror’s titles. He started off as a man in the original Diablo, who basically had his leg tore off by the big bad evils in the game. Then in the second and third games, you could get Wirt’s Leg as an item. 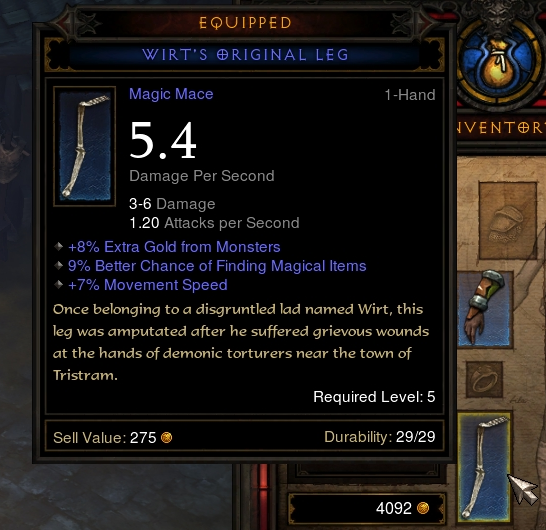 In World of Warcraft, you could get Wirt’s Third Leg and in Diablo III you could also get Wirt’s Other Leg. Oo err. Wirt has had many different legs, which have appeared over at least 5 different games, from Diablo I, II and III, World of Warcraft, Warcraft III: The Frozen Throne. He was also a test item in the Blizzard MOBA Heroes of the Storm. Now, don’t forget, the most important thing about Wirt’s leg is the ability to create portals to incredibly secret cow levels. They’re so secret that everyone knows about them… Because Wirt’s Leg combined with a tome of town scroll totally makes a portal. I think we’re all a little tired of “That’s what she said”, this isn’t the 90’s any more and frankly I think we can all agree She has a dirty mouth but doesn’t have a lot to say otherwise. Now where do you even begin with all of the jokes in Archer? Between the creative insults, the worst passwords ever, the voicemail pranks, and LAANNAAAA there’s so much to choose from. But phrasing rather escaped the show and slipped out into the real world. It’s quick, effective, and points out an innuendo far faster than She ever could, and it spread so fast that the show not only stopped using it, but made a joke out of no longer using it. Seriously, are we not doing phrasing any more? Bart Simpson has started up every episode of The Simpsons with a different bit of ‘detention writing’ to put up on the chalkboard of his classroom. Sometimes, these lines he has to write are just purely silly, such as not putting gum under his desk, but other times, it’ll be reference to a real life event or celebrity. He has, in the past, mentioned presidents along with big name celebrities (although they rarely specify the full name of the celebrity). It seamlessly blends the real with the typical cartoony values that Springfield has become customary of. We don’t watch an episode of The Simpsons without thinking of those ridiculous Simpson openings, either. Bart makes up one of the two major parts that changes episode by episode, also meaning that he’s been doing this since the late 80s. Now, in 2017, we’re going to finally see the writing on the wall for Bart and his family, as it’s officially coming to an end. This is probably the longest running gag on this list, so if you’d like to see some of these amazing jokes for yourself, check them out at Bartsblackboard.com. When a returning cameo is so good you have people on the edge of their seats in the cinema waiting for it you know you’re onto a winning formula. 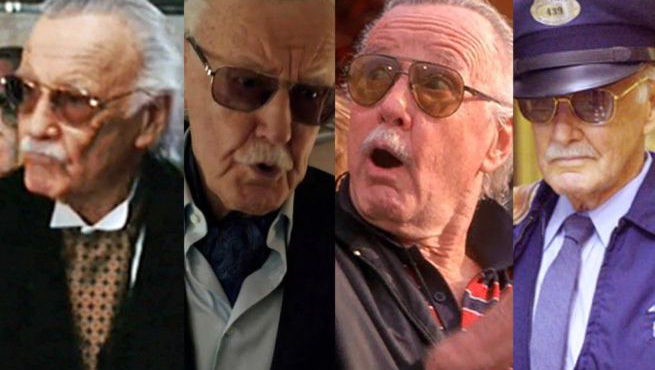 The face of Marvel Comics, Stan Lee keeps showing that face in as many films based on his properties as he possibly can, and he’s escalated from a quick and unsubtle look at the camera to being the centrepiece for some of the MCU’s funniest moments. We’ve seen it all from a brief appearance as Hugh Hefner to a librarian obliviously sorting through returns while Spidey and Lizard tear each other to shreds behind him. The prevailing theory is that Stan is actually playing a recurring role rather than just popping up as a friendly face, Uatu the Watcher, an ancient being tasked with witnessing the most important events in the universe. The kind of power that would give him might explain how his presence spans the cinematic, television and animated aspects of the Marvel property, as well as popping up across the Galaxy, meaning he may well play some kind of important role in the upcoming Infinity Wars. Throughout 2016, fans waited on tenterhooks as the grim spectre of death stalked one beloved celebrity after another, wondering with each cameo if it could be his last. Of course if he doesn’t turn out to be an actual immortal, then he’ll always live on through his works. While many jokes will outlive their series and outreach their audience, there are a few that will remain as a calling card for those niche little groups and die-hard fans. Some just fizzle. But let us not forget them, but let us also not list every single one of them here, we’ve got a word count to keep to and nowhere near the man power to list them all. Here’s some honourable mentions. 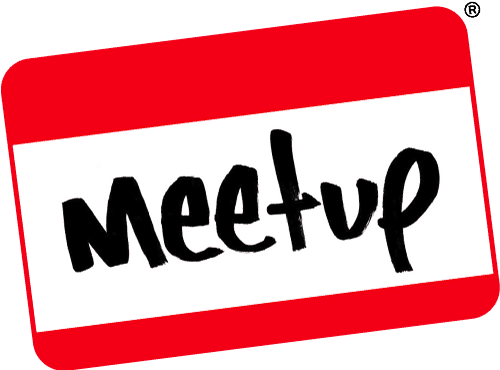 We’ve mentioned it before and we’ll mention it again – We love abridged series, so much so that today at the GeekOut Bristol Meetup (8th April 2017), we’re hosting an abridging challenge with some great top prizes. Now that we’ve shamelessly plugged this, let’s continue with this entry. Ghost Nappa is a character that was dreamed up from the pure stupidity that is Nappa. In the actual series of DragonBall Z, he was quite an imposing character, with a lot of seriously deadly skills (at least early in the show). After Vegeta ruthlessly despatches him, Vegeta cements himself as the real bad guy here. However, on DragonBall Z abridged, it seems like Nappa’s personality has an everlasting effect. Out pops Ghost Nappa, complete with a theme song and all! He’s really damn annoying and he haunts Vegeta occasionally on the Namekian saga. Even in death, it seems like Vegeta can’t get rid of this once proud, but rather unintelligible Saiyan warrior. How do you get around censorship when you really want to swear liberally? Well, a host of sci-fi series would suggest making up your own swearwords that don’t appear on any list, but Joss Whedon’s verse had a rather cunning addition to its backstory that allowed for as much cussing and grotesquely creative insults as you could want, all able to be shown to an American audience during dinner, because it’s all in Chinese. So it may not be hilarious, but it’s a running bit that adds flavour to an awesome world and deepens its history. When Mal launches into a long string of unintelligible syllables we all know what’s going on, and can’t help but imagine that somewhere there’s native speakers in the audience either covering the ears of the children in the room, or wincing at Nathan Fillion’s wooden and badly pronounced delivery. Some jokes outstay their welcome, get old, and get stale. And yet somehow you guys never seem to tire of our Top 10’s. That’s fine, we love making them, probably more than you guys enjoy reading them. And just like every week you get to pick which Top 10 we discuss next week. What jokes tickle your funny bone no matter how many times you hear them? What are your favourite running gags? Tell us in the comments or Facebook, Twitter or Reddit. Hey, you there, I see you like our Top 10’s! That’s great, but we need your help now. We are thinking of writing up our Top 10’s as an eBook. Interested? 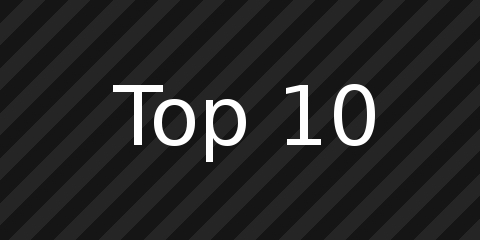 Let us know what you would like to see in our Top 10 eBook!